Whitehead Law Offices is a law firm focusing on trusts, estates, probate, and guardianship. We are committed to delivering the highest level of client service and personal attention. Our core values of honesty, compassion and excellence are at the foundation of all recommendations and actions we take on behalf of our clients. We are wholly invested in the lives and endeavors of our clients. We truly care about them and treat them as family. The Law Offices of Whitehead Law Offices, P.A. will represent your Estate Planning legal matters. 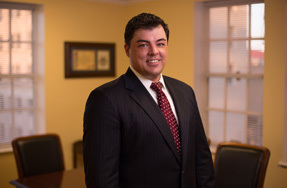 Patrick is an attorney focusing on estate planning, probate and trust administration, guardianship issues, and non-profit counsel. He is the managing shareholder and founder of Whitehead Law Offices and is the current general counsel to Palm Beach Atlantic University. Patrick counsels high net worth individuals in all aspects of effective estate planning, asset transfer, and tax planning. Additionally, he has extensive experience in setting up non-profit entities for his clients. Patrick is married to Jessica Lynn McKay. They are the proud parents of "Bentley", a four year old Boston Terrier. Patrick has been living in Florida for close to three decades. Previously, he was an attorney with the Gunster Law Firm, Jones Foster, and is currently general counsel for Palm Beach Atlantic University. When not helping clients, he enjoys spending his free time with his wife, friends and family. His hobbies include snorkeling, shelling, cycling, electronics, lapidary and sculpting.